Free pie for your family and friends! 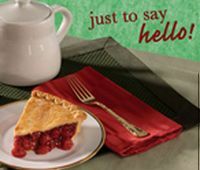 Celebrate the sweetness of life by sending a free slice of pie to your family and friends. Just choose your favorite e-card, personalize it, and we'll send it on your behalf.